by applying plasters/molding or by creating peculiar effects with the application of different materials. This can be achieved not only on ceiling but also on walls and pavement. furniture intender for the space, having as final goal the harmony and elegance of the whole environment. In this page you will find some of our conducted projects on ceilings. Design was conducted to meat clients taste and projects were carried out by using traditional techniques and modern high quality materials. This painting technique is based on creating an optical illusion. the result is achieved thanks to the highest figurative painting technique. a window or a door, an object on a shelf or even a whole room or a garden, where in reality there’s just a wall, a flat surface. Even though Trompe l'oeil is a very anchient technique, it still enchants, and its charm remains timeless. The mind loves to be amazed. We are an art laboratory, and our aim is to satisfy all the specific requirements and needs from our clients. Among these, the portrait is a form of fine art which historicize the subject in his/her own actuality. We produce portraits with our personal style or, as required, with a style which is the most congenial to the client. Artmarde creates original paintings, just for the pleasure of painting, for the pure pleasure of creation. A painting is a window opened on colors and forms, historicizes the environment and underlines space. ArtMandE creates murals in modern interior and external walls, childrens’rooms, modular decorations, landscape themes, figures. Artmande is specialized in decorative arts and artistic painting. The company ground its roots in Umbria, Perugia, in 1989. Marco Napoletano started the experience in collaboration with other artists. A few years later he meets Emanuela Multari. Like him, she is graduated at the academy of fine arts “pietro vannucci” in Perugia, and together they start to collaborate to the realization of a few projects for local architects studios. In 1997 they move to London to experience a more international professional environment. In fact the collaboration with architects studios of the city takes them to work not only in London, but in libanon (beiruth), Switzerland (lucerna, zurigo), Russia (Daghestan). Their experience in london lasted for 5 years, during which they carried out important projects in private residences. 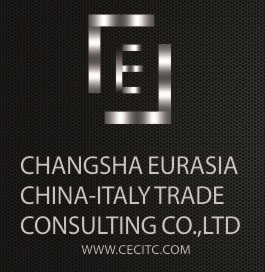 At the beginning of 2003 they moved back to Italy, in order to invest their experience on the Italian territory, but willing to keep their working environment in a wide and international range. by the photographer Silviano Scardecchia.